When it comes to home security, technology has improved a lot. Nowadays, most people can afford a sophisticated motion sensor system in order to take care of their family and their properties. You can implement motion sensors in your house or in a store, and that way you’ll rest assure no intruders will ever trespass without activating the alarm. Motion sensor technology is amazing indeed. Would you like to know how these babies work? These devices are equipped with an “eye” that detects movement and triggers an alarm that can be silent or loud. Of course, sight is something only living beings can do; machines do not actually “see”, but thanks to the use of light or microwaves, these systems can identify suspicious movement once activated. Can you remember the first kind of motion sensor alarm that were first fitted into cars in the seventy’s and eighties, every time a truck dove past or an airplane flew over the alarms and the whole street went off. Thankfully things have moved on tremendously since then. Motion sensors are divided into active and passive detectors. The first kind is the one that emits energy (ultrasonic sound waves, light, etc.) into the surrounding area. Then, they wait to receive back the signal they sent. If there is interference, they interpret it as movement. The second kind does not emit, but rather interprets changes in the energy near them. The passive motion sensor is the most used in home security. They detect little changes in the temperature produced by the infrared energy we all produce (both humans and animals). The system is programmed to ignore certain natural events, such as the gradual change of temperature when the sun rises. On the other hand, if someone broke into your house while the motion sensor alarm is activated, there would be a subtle, yet really sudden, rise in temperature (a wavelength between 9 and 10 micrometers), and the sensor would activate the alarm. At the same time, there are other kinds of security alarms that you can implement which are not as effective as motion sensor, such as the hardwired systems, which are limited to the extension of the physical wiring. They are typically located in doors or windows, but burglars are not always so predictable. Motion sensors are not only implemented in home alarms. The mechanism that automatically opens the door of the garage, or the supermarket, the new generation of video games, or even the lights that turn on in the hall as you walk by; those are all examples of how motion sensor technology surrounds us. Making the decision to install a motion sensor light for your home or business can have many benefits. Aside from providing a safety by lighting dark corners and walkways, the motion sensor activation can save you money on energy costs and maintenance. Many insurance companies may also offer you discounts on your policy for installing a motion sensor light. There is a wealth of different models and styles available, and are relatively inexpensive for the benefits they provide. If you are looking for a quality sensor light there are certain factors you should consider in your search such as ease of assembly and location position. Some lights are designed specifically to fit in tight corners or require being close to an outlet, while others are universal and can be placed anywhere. Most sensor lights are available in three general styles – battery operated, electronic or solar powered. Each style offers their own list of pros and cons depending on your specific needs but are of equal quality otherwise. Although some consumers do prefer the electric motion light due to the maintenance expense of the replacing the battery, many manufacturers have taken this into consideration – and the majority of consumers do prefer the solar powered motion sensor light above any style. 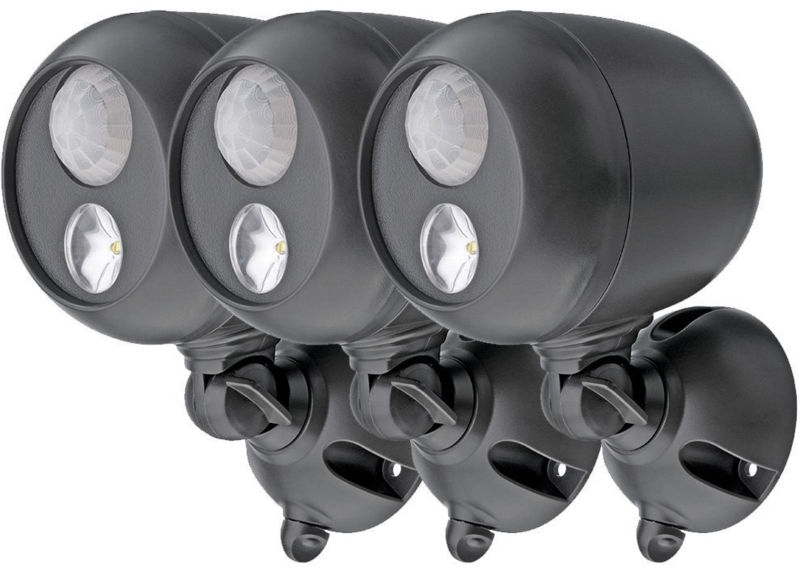 As any of the available motion sensor light reviews can tell you, homeowners and business owners alike have found a stronger sense of security after installing these lights on their property. It provides a hassle-free and automatic safety feature to any environment preventing accidental falls and wards off intruders. They praise any home security system armed with video surveillance – giving you a clear shot of any burglar or intruder. Whether you are looking for additional protection to your security system or just want to provide some light in a dark area of your property, installing a motion sensor light over the wired track lighting systems can provide more than just the safety benefits and is worth the investment. It can save you the time of maintenance, money on energy costs as well as your insurance. The average basic sensor light can cost as low as $10 each and has a life span of up to five years but we feel it is not beneficial to go for the cheapest option as you need some control over the sensitivity of the light which the cheap ones do not have, we recommend going for a mid-range model; depending mainly on the weather conditions it sustains. Installing one for your home or business can be both a wise and an economical choice. Motion sensor technology has advanced so far that today you can program your home alarm in a way that your pets won’t activate it, but intruders will. Installing a motion sensor is a great way to protect your property and your beloved ones. On the other hand, the system, as any other, has its flaws. In this article, we will briefly explore the pros and cons of motion sensors. After reading this, you’ll be able to decide if this technology is what your home needs, or if you should choose a different system instead. No need for contact: The motion sensor alarms come in different shapes and sizes, but the idea behind all these systems is basically the same: they virtually see movement, anywhere around them. This is a considerable advantage when you compare them to other kinds of alarms, such as hardwired systems, that rely on the intruder touching them to get activated. But how can you tell that the burglar will choose to go through the window? What if you are missing a spot? Motion sensors are so widely implemented in home security because they detect virtually any movement whatsoever. They are affordable: Motion sensor technology is not as expensive as you think. Plus, it is relatively simple to install. In any case, going out or going to sleep knowing for certain that your home is safe, is priceless. Dead zones: Sometimes metallic surfaces can interfere with the detector, as metal is one of those few surfaces it can’t penetrate. There’s something you can do about this, though! If you choose a microwave motion sensor, pair it with an infrared, which is susceptible to lateral activity. This way, you’ll leave the burglars nowhere to hide. 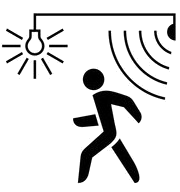 Unwanted activations: A very subtle detector can be activated by things such as a gust of wind outside, or even fluorescent lights, which emit certain particles that can mess with the motion sensor. On the other hand, if you forget to lock your pet in a room, it can be pretty disturbing! If after reading this you are still uncertain whether you should install motion alarms as part of your home security system, the best thing you can do is ask the experts. They will be able to tell which kind of motion sensor, or any other system, is the most suitable for your home security needs. 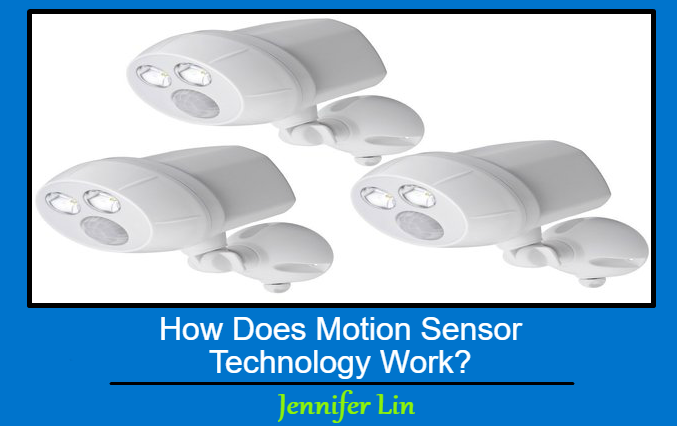 This Concludes: How Does Motion Sensor Technology Work?. What Did You Think Of This Post? Please Let Us Know By Rating Below!